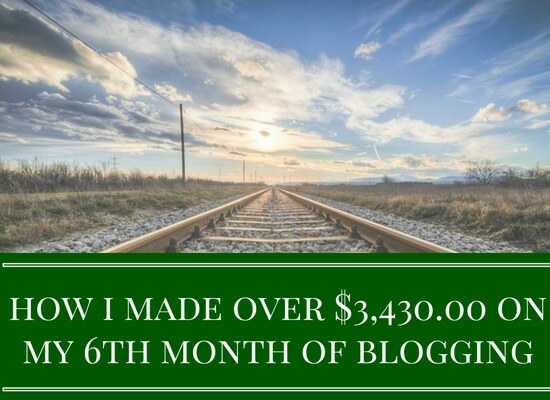 This ” How I Made Over $3,430.00 On My 6th Month Of Blogging ” is my 4th income report. I can't believe that another month has past and didn't realize that I would earn a little more than what I earned last month. I am just so happy. By stretch, this past month was my best ever in terms of traffic and income (I apologize if I keep on using this line month after month). While I managed to pull in some impressive earning, I made several blogging mistakes. This post contains affiliate links/ads. See disclosure policy. Welcome to my July 2016 income report. This is my monthly post where I show you how I made money, how much money I gave, what I did and didn't do, what my triumphs and/or mistakes in blogging, and, of course, my monthly goals. Before I go to the meat of my income report, I'd like to show you my income progression month after month. I compiled all my income reports for easy access and just to give an idea how I have been doing (money-wise) with my blog. Before I show you my blog traffic and earnings for July 2016, let me tell you why I wanted to blog my income. First, I always like to see my income progression from one month to another. When I say income, I mean to say income from anything related to blogging. I do not count my day job income, side hustles, and everything not related to blogging. This way, readers exactly know that this income report is just about blog income. You'll see survey money in this report. This survey money is affiliate money and not the money I earn from taking surveys. Second, for many, I'm still pretty much a new blogger by many people’s standards. I’ve only been blogging for 6 months now and have had triumphs and failures (actually a lot) in those 6 months. Everything I did, do, and have done with my blog is all of my doing. If you something off, then, that's my doing. If you see something nice, then, that's my doing. If you consistently visit my blog, you’ll see that it keeps on changing and it has a lot of flaws. I’m still figuring out what works best for me and my site. Be one of the few who can start a blog for a special price of $2.95/month instead of the regular price of $7.99/month. That's 50% off of regular price. Can't beat that. I never thought that it's possible to earn (extra) money this early on in my blogging life but it has happened. I know that it will continue to be better from here (hopefully). I like to be an inspiration to those who just started or are just starting with their blogging life. I want to share to the world earning this early is possible regardless of how long one has been blogging. I have to say that willingness, commitment, perseverance, and a lot of luck are what helped me and continuously help me with my blogging success. As my mother always say, it’s not what you always do but what’s inside you that help you become better. Third, I believe in complete transparency. While I blog just about everything under the realm of personal finance and its never ending relationship with family and life, my blog is also monetary vehicle for my family. When you see advertisements on my blog posts, those are income-generating ads. July 2016 was what I considered the best month for me money and traffic wise. My blog income increased from June 2016 and it’s only my 6th month of blogging. For those who have not read my first income report, I stated there that technically, I have been blogging since December of 2015 but did not market or tell anybody about my blog until the 28th of January. I kept it to myself (my very first mistake). So, I consider February as my official blogging start date. Again, it’s just FYI to avoid confusion. I believe the reasons I earned this money are because of my determination and hard work to make blogging work and because of luck. I always put luck in the mix because I am still figuring out which strategy works. My wife I earn roughly $45/month and so, can you. After signing up and answering a short introduction, you'll automatically get $2.00. Sign up for Vindale Research is FREE. I’ve been looking for a very user-friendly, cheap, and effective accounting software especially for my growing blogging business. I signed up for Sage One for a 30-Day FREE TRIAL with NO CREDIT CARD required. I tell that Sage One is easier than using a spreadsheet (and I am an advanced-to-expert MS Excel user).Get started with Sage One. It won't cost you a penny! My wife and I have been using Bing Rewards for almost 2 years now. By using it for just a few minutes every day, we manage to pull in $28ish every month, which is good enough for Hulu, Domino’s pizza, and some more. You can sign up for Bing Rewards FREE and start making money. Bluehost is the reason that I have a blog. I didn’t know anything about coding, WordPress, and other things related to blogging. With Bluehost, I was able to create my blog in 10 minutes or less. Tailwind is basically the magic behind my budding Pinterest success. Before, I spent hours pinning and scheduling pins with no luck in getting referrers. Now, all I need is less than 30 minutes a day to pin at least 150 pins across boards in my account. Igain – This affiliate network is geared towards survey. Some of it's offers include VIP Voice, Harris Online Poll, YouGov, and EarningStation. What I learned in the past months is that no single ad network houses all your affiliate needs. Follow-up. The same thing I have done in the past months, that is, I followed up with people who needed help. When people asked me questions, I not only answered their questions but also offered help. I built relationship as a result. Better yet, this assistance converted into sign-ups for products that are promoted throughout my blog. Website re-design. If you look at my blog, you’ll see changes on layout, placement of ads, among others from time to time. Since my blog is new and I’m new at blogging, I like to try what works best and doesn’t work for me. I know there are risks associated with this but I’m willing to try. Sponsored Posts/Mentions: While I cannot say I pursued sponsored posts, I can definitely say I entertained sponsored posts or mentions for this past month. Affiliates. I have knew affiliates, mostly of which are survey-based affiliates. I managed to get approved for at least 3 survey affiliates last month. Home Page. Finally, I got the time to re-design my home page. It's now cleaned and I really love it. All you can see there are pictures with texts on the pictures and those are it. This layout is, by far, the type of layout that I really like. It's simple and clean. Last month’s casualty, again, was my Twitter account. I've been busy with a lot of things about blogging, Pinterest, new affiliates, and others that I didn't get to pay attention to my Twitter. I know how critical to a blog Twitter is. However, this is where I failed this past month because I didn't pay a single attention to it. It's totally my fault. My twitter activity and followers moved upwards but not in the pace that I hoped they did. As of July 31 2016, I had 2,002 followers. For the month of June, I had 102,482 views, which is a 68.69% increase from last month’s 60,753 views. I am so thrilled to see my traffic grow month by month. Much of the increase in traffic is due to my Pinterest traffic. I cannot stress enough how Tailwind has helped me achieve this growth is such as short time. I always believe in setting goals. Going through life, in general, without a goal is like walking on unending road without a foreseeable end in sight. The blogging goals I set for this July are both easy and challenging to achieve. So many reds here but overall, I like what I am seeing. Page views. I want to see 5,000 views a day, at least. Maybe it’s impossible to achieve it but I will try my best to make it possible. (July Goal: 3,000/day ; Result: 3,305/day) – Succeed. Alexa rank. I like to be ranked under 140,000 (World) and 30,000 (US) by the end of August. This maybe a stretch but hey I like a challenge. (July Goal: 140,000 (World) and 30,000 (US) ; Result: under 150,000 (World) and under 40,000 (US)) – Close enough though, I think. Twitter: 3,000 followers. (July Goal: 2,000 ; Result: 2,000) – Barely made it but success. Pinterest: 5,537 followers. (July Goal: 6,000 ; Result: 5,537) – Close but failed. Facebook: 1,200 fan page likes. (July Goal: 1,200 ; Result: 1,097) – Close but failed. I want to double my income for August. Yes, double the amount it is. (July Goal: Double my May’s income of over $2,972.33 ; Result: $3,430.89) Didn't reach it. But, of course, I am more than happy to earn additional money. Email subscribers. I like to have 500 subscribers by the end of July. (July Goal: 500 ; Result: 344) – Failed but close to the target. Great progress Allen! Thanks again for being so transparent with your blog. Keep up the great work! Wow, you’re doing an amazing job, Allan! My goal is to simply get to 1,000 pv per day. For a while they were hovering between 100 to 150, but have increased to 350 to 400 per day. I need strategies in place, and I’m working, so we’ll see what this month brings now that summer is officially winding down. Great job and keep it up! I think or I hope we see some big surge once summer ends. I heard or read that summer seems to be the low point for many bloggers. Thanks, Latoya. I heard and read that summer seems to be the low point for many bloggers. I hope things get even better after summer. The level of site traffic you’re getting is AWESOME! That’s a huge achievement for such a short period of time. I’d be interested to see a post breaking down traffic sources – search, pinterest, Facebook, twitter, inbound links, etc. Thanks for sharing this info – very interesting. Hmmm, I never thought about that. I will surely include that in my next income report. Thanks for the idea. Wow Allan – this is so impressive! I like that your site has ads but they are not obtrusive and I haven’t seen any pop-ups. I think those are a huge turn off for people! Thanks for sharing your ideas! Thanks. Yes, you won’t see popups because I don’t include them. I think they take away attention to what readers are reading. Great job in such a short time, super motivating for me to keep going! Do you share what Flex Offer’s have worked for you so far? And the home page looks great well done! 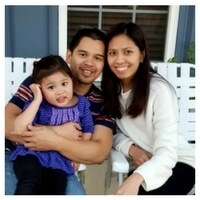 Great work Allan and achieving such a great return on your blog in such a short time is something to be proud of. The next step may be to write a book on how you managed to turn your blog into a money making machine in such a short period. Something for you to consider perhaps. Keep up the great work and good luck with reaching your goals. I may do that in a year or two. Thanks for giving such an idea. Man, this is inspiring stuff. I really appreciate you breaking down in such detail all of your different income sources. I’ve really learned a lot from you and your site- keep it up!! Looking forward to seeing your numbers improve even more in August. Thanks, Jeff. I like it when people say that my blog or something I do is inspirational. Just that word helps me to keep on doing what I do and do them better. Wow these are fantastic numbers and numbers that I will hope to achieve after a year of blogging. Great job I’m so looking forward to reading more of your blog. Thanks. Anything is possible when you put your mind and heart into what you are doing. Those are the words of my mom and dad. But truly, anything is possible. Awesome stats Allan! I love the site redesign and am impressed that you did it yourself! Redesigning my site has been on my to-do list for months. Keep up the good work! Thanks Tia. I did everything just by trial and error but more on the side of errors. But that’s how I learned. Thanks. Allan, you have no idea how inspiring this is! I can’t count the times that I’ve read, “It takes at least a year to make any money blogging.” Great to see you’re breaking the mold. Keep it up! It so good to hear that I inspire people like you. Yes, when I first started I read a ton of posts stating that it takes at least a year to start earning money from blogging.Thank you. This is impressive! Keep up the good work! congrats Allan..you are very inspiring indeed. You’re doing great Allan. It’s really nice to see the breakdown of your affiliate income too. Thanks for being so transparent, it’s inspiring. Great job Allan! Pinterest provides “most” of your traffic, correct? That is right, Aaron. Pinterest has been my best traffic source. Allan, this is so inspiring! Both your revenue and traffic numbers. What did you do to get your traffic to such a level so quickly? It would be interesting to see a breakdown of your traffic sources and the strategies you’ve been using. I’m sure a lot of bloggers would find that useful – thanks for the transparent sharing. I will breakdown my traffic by sources in my upcoming post. Here, you will find exactly where my traffic came from. Thank you for sharing with us your income report for this month. It’s pretty impressive what you have achieved in such a short period of time!! For the Surveys… how do manage to get those big amounts of income? How many referrers do you get for each one? I’m also sharing my income reports (however they are much less money than yours) and I’m looking for ways of saving more money. Roughly, survey sign up commission (for me) is just a few dollars per sign up. While it’s not a whole lot, I do get a lot of people who sign up for surveys. On average, I get at least 600 people a month who sign up for surveys. For example, if the survey pays me $3, then, I would have $1,800. In that example, though I only get paid a small amount, the volume of people makes my commission big. I have to say this is quite impressive, I’ve been casually blogging for a while and am amazed at the traction you’ve made so quickly!